Center for Arts-Inspired Learning > Programs > Ready, Set, Design! In partnership with the Cooper Hewitt Smithsonian Design Museum, trained CAL artists offer a STEM workshop that incorporates collaboration, critical thinking, and problem solving in teams through a hands-on design challenge to help your students think creatively in the classroom. Students will use personal experience and knowledge to begin understanding the purpose and function of designed solutions to everyday challenges. 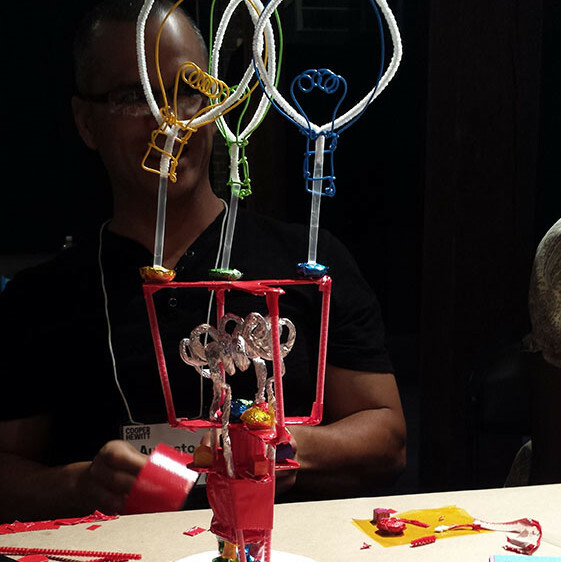 Each team will visualize solutions through prototyping and use of the iterative process. Participants will also practice presentation skills.